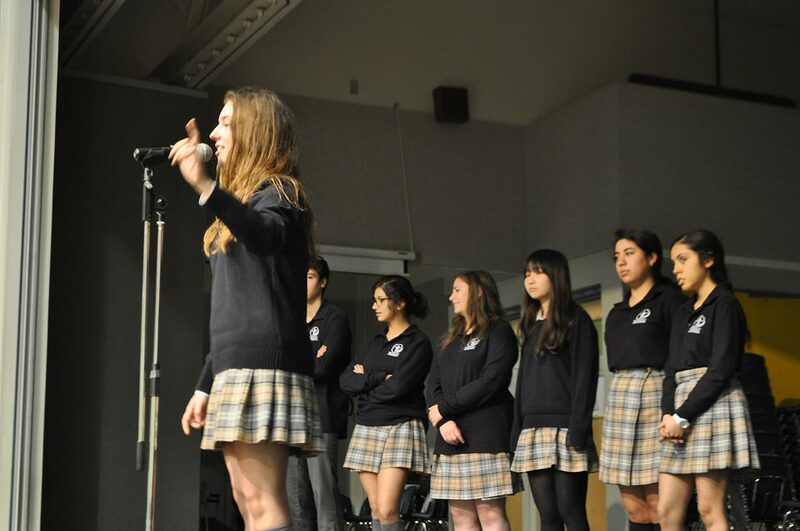 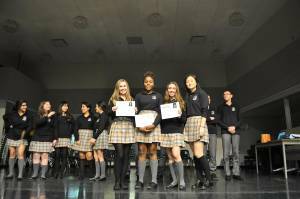 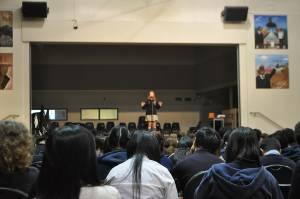 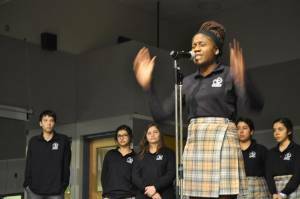 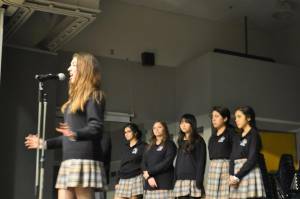 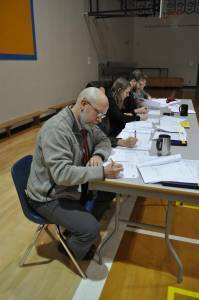 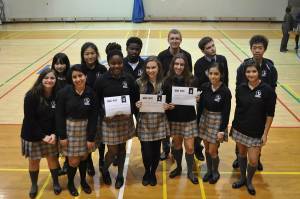 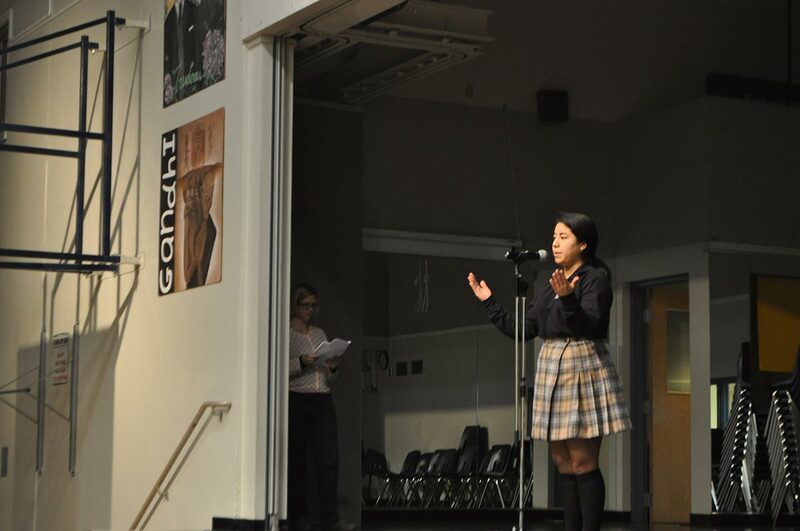 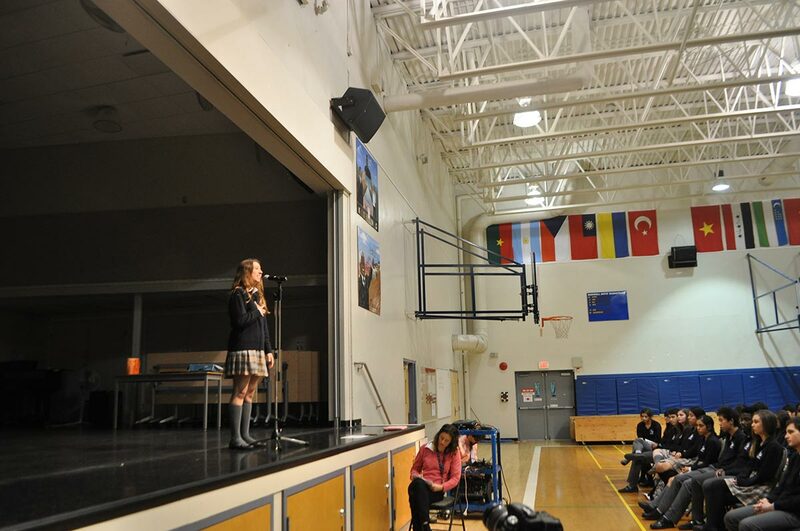 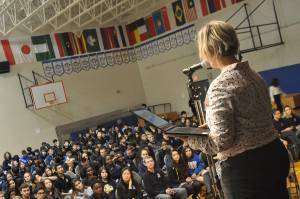 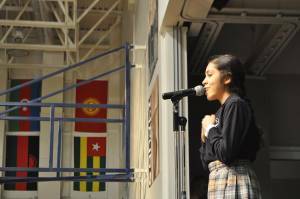 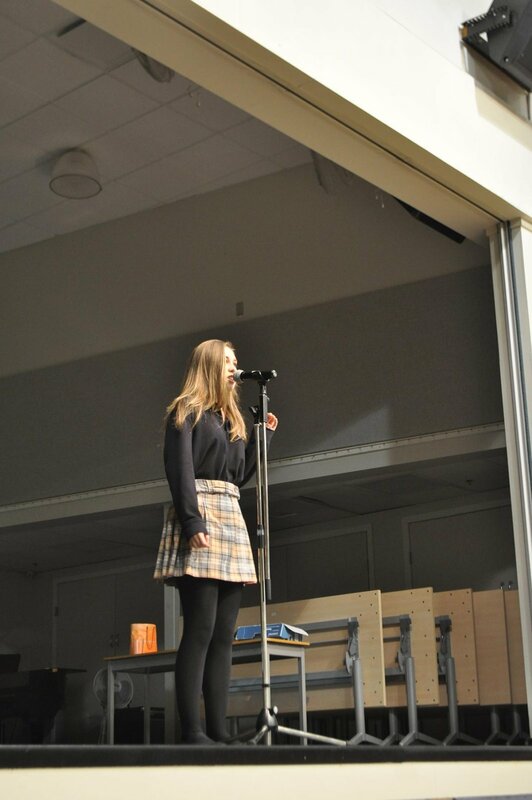 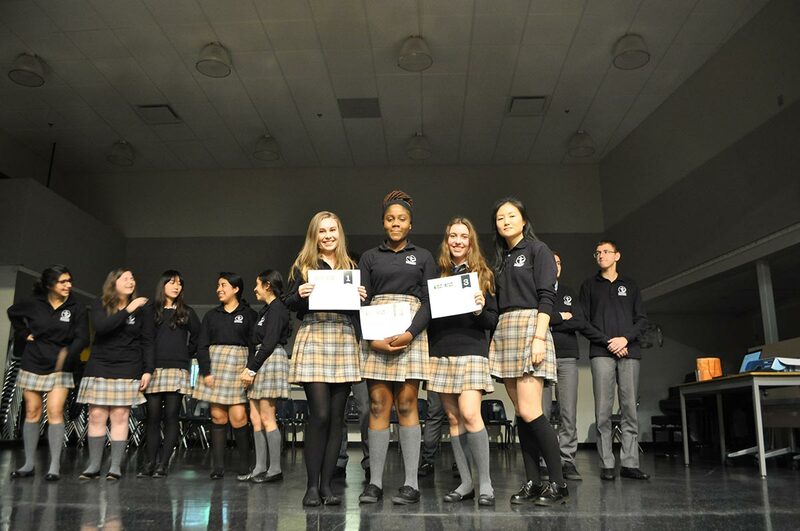 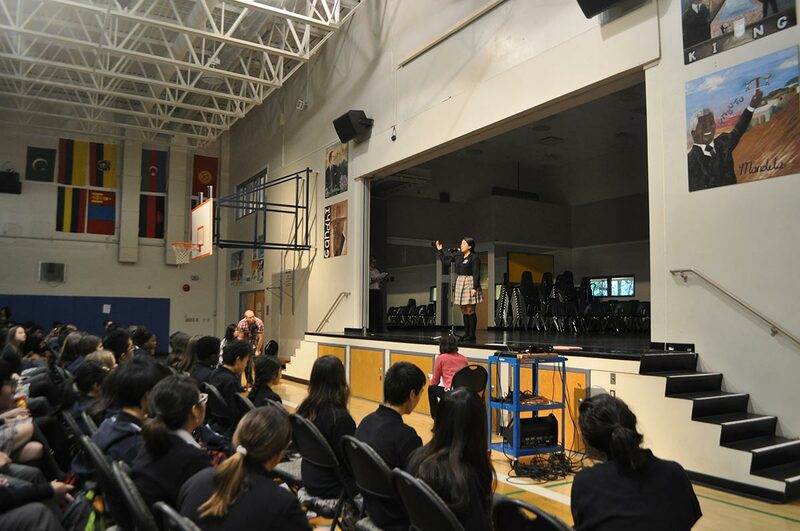 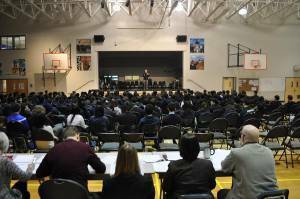 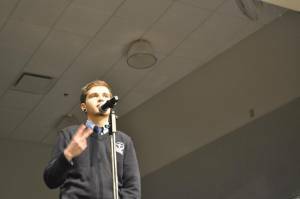 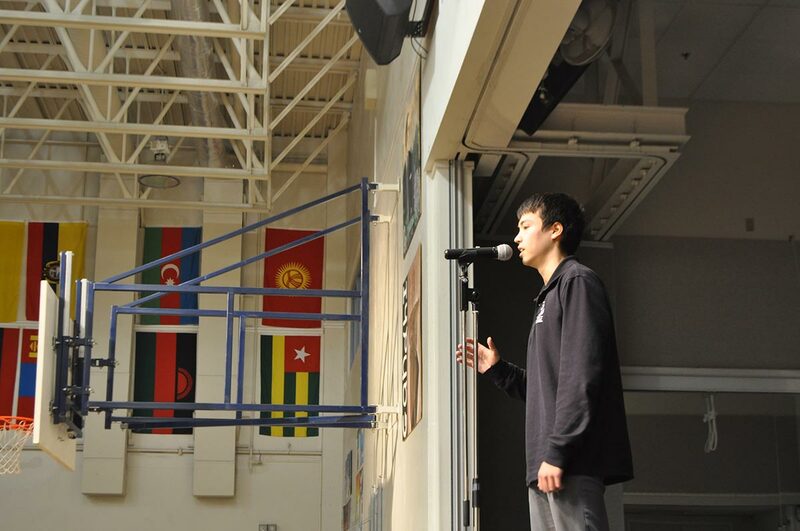 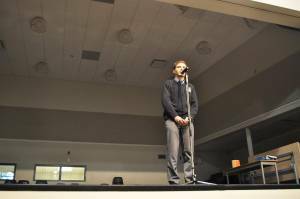 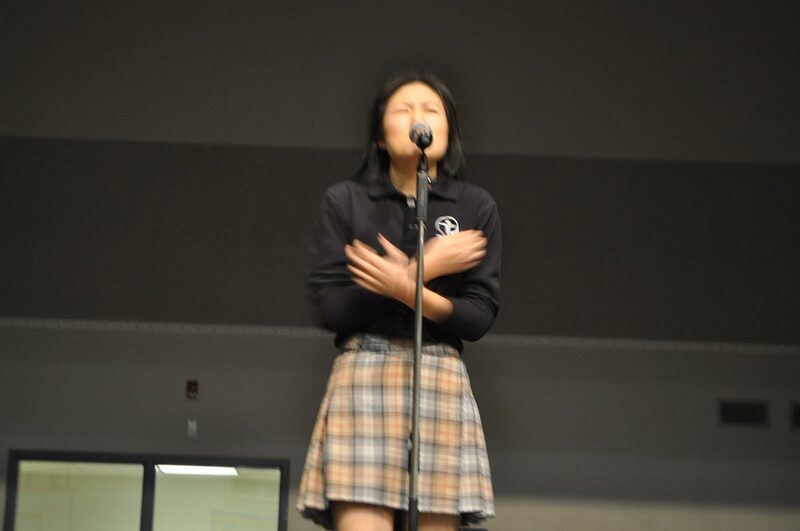 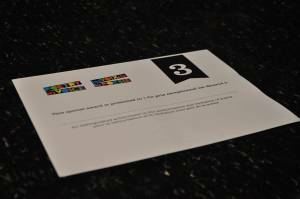 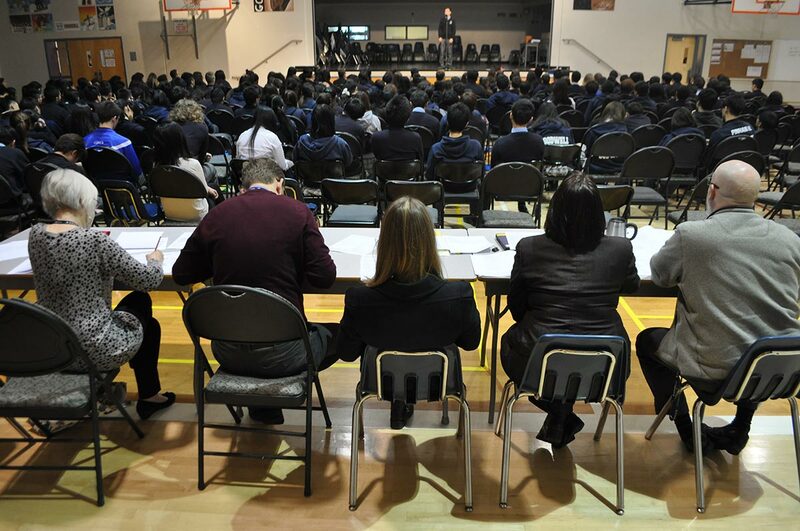 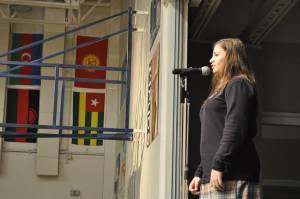 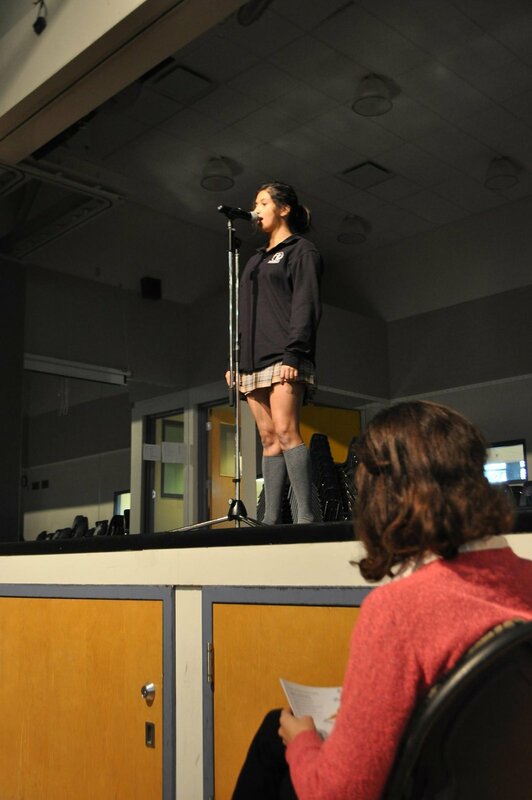 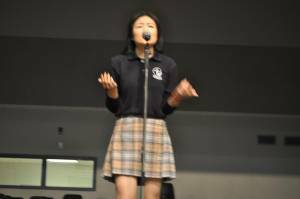 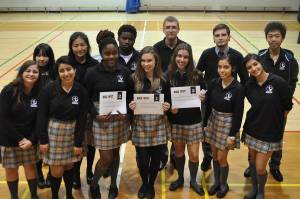 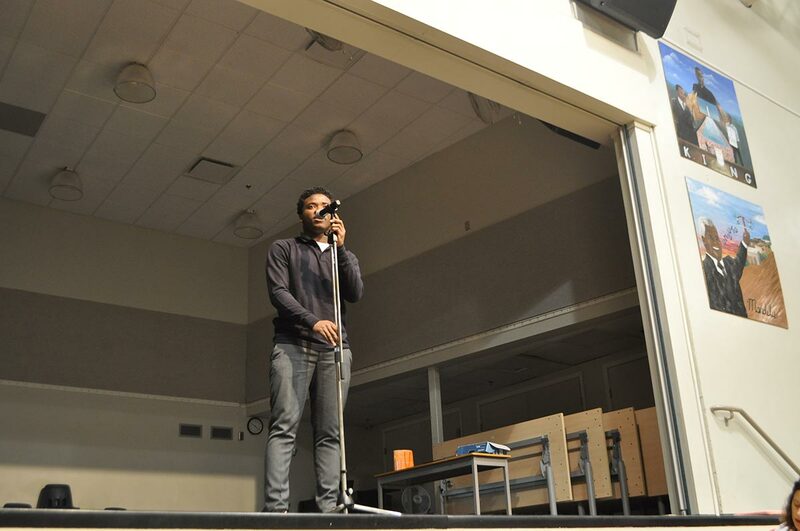 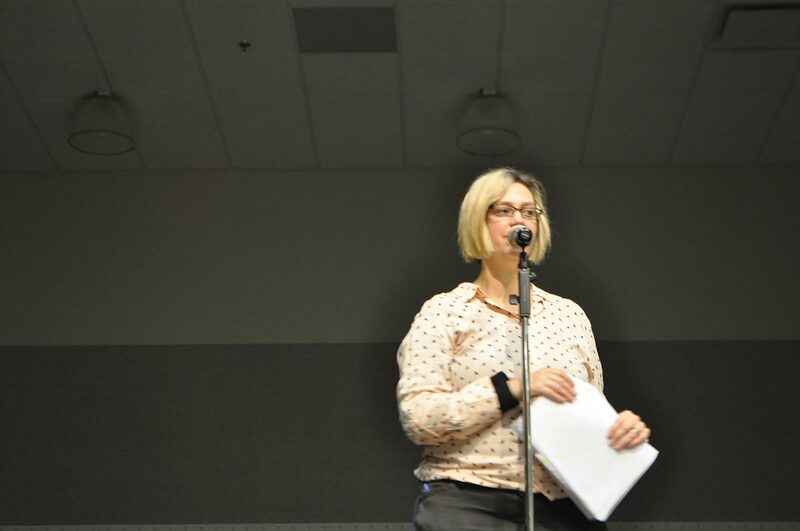 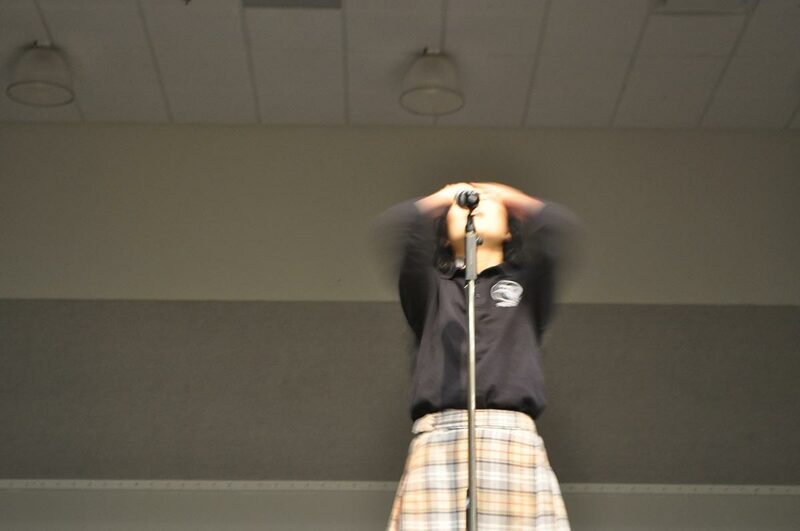 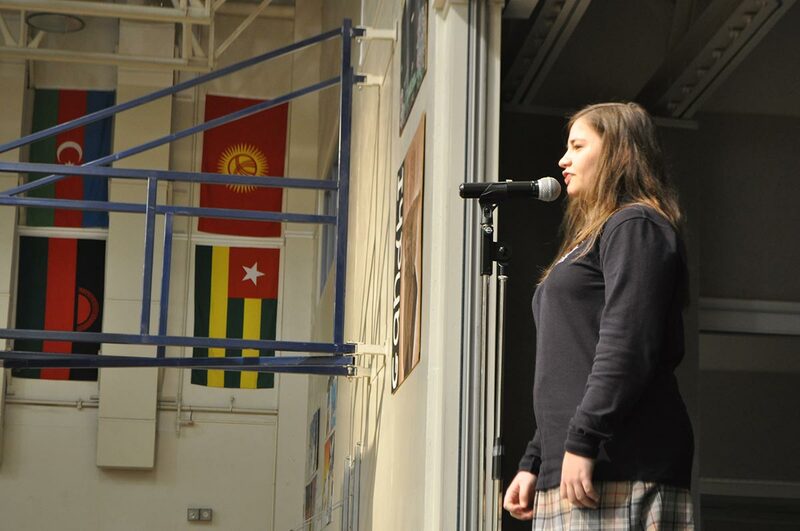 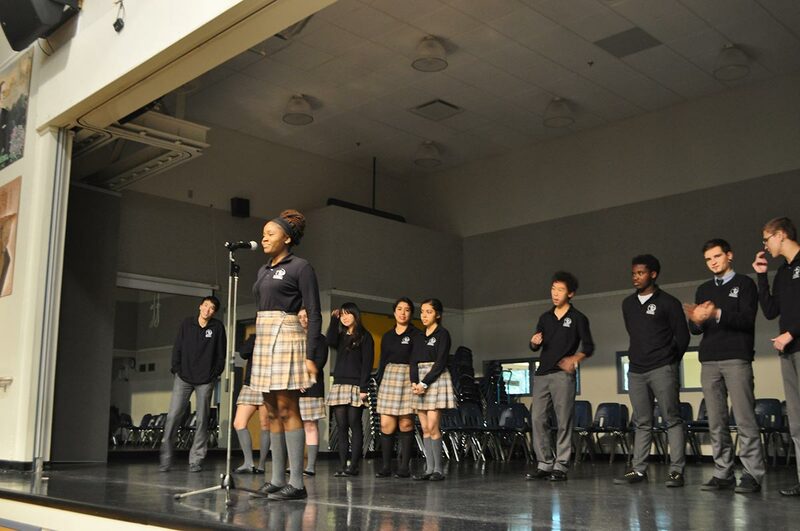 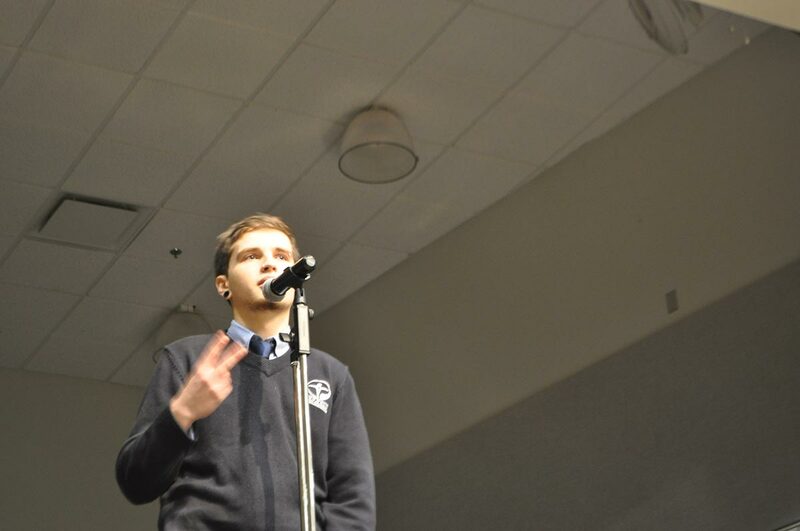 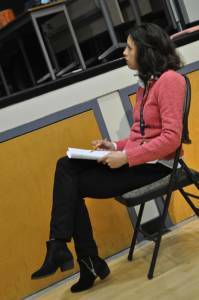 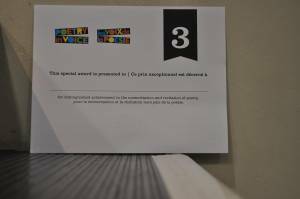 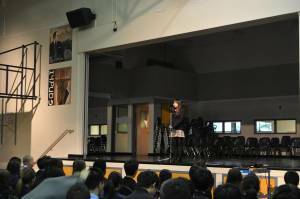 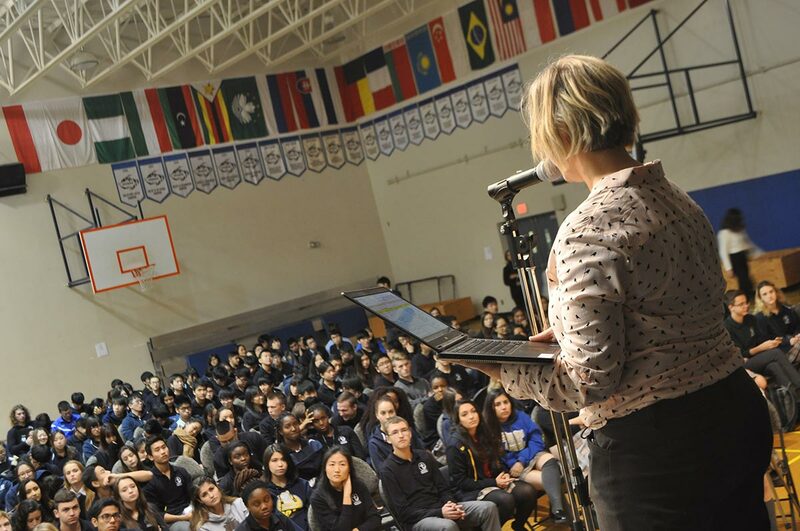 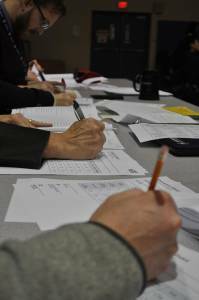 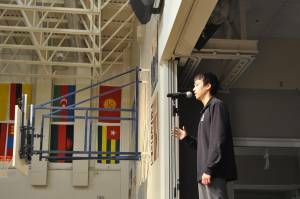 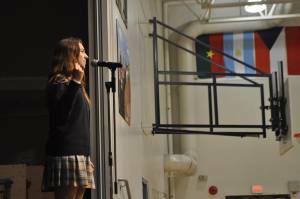 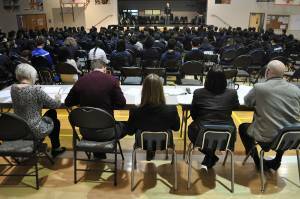 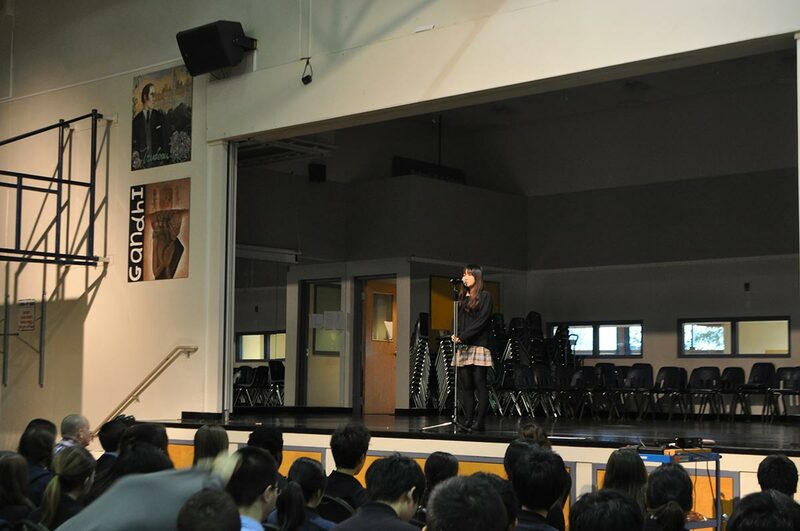 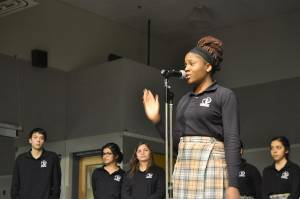 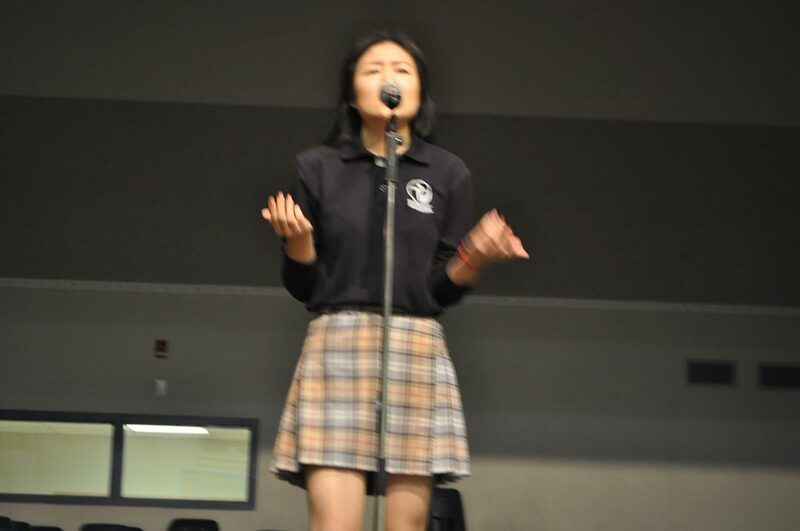 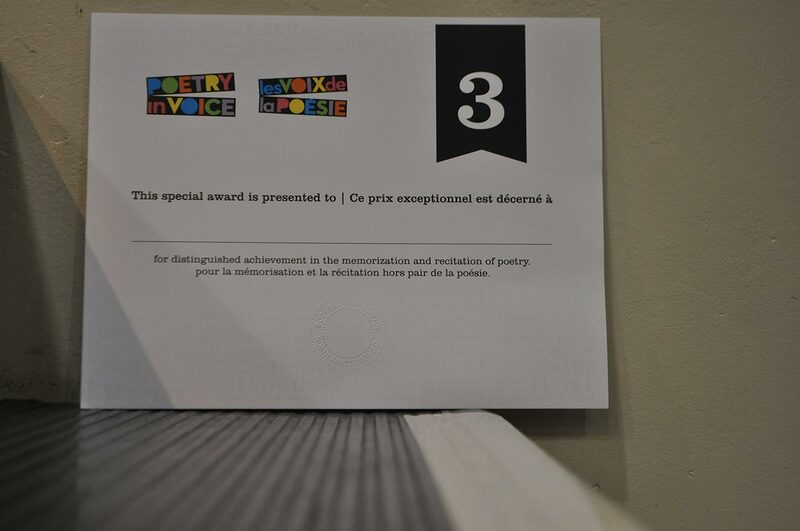 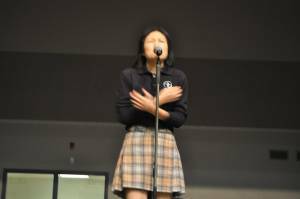 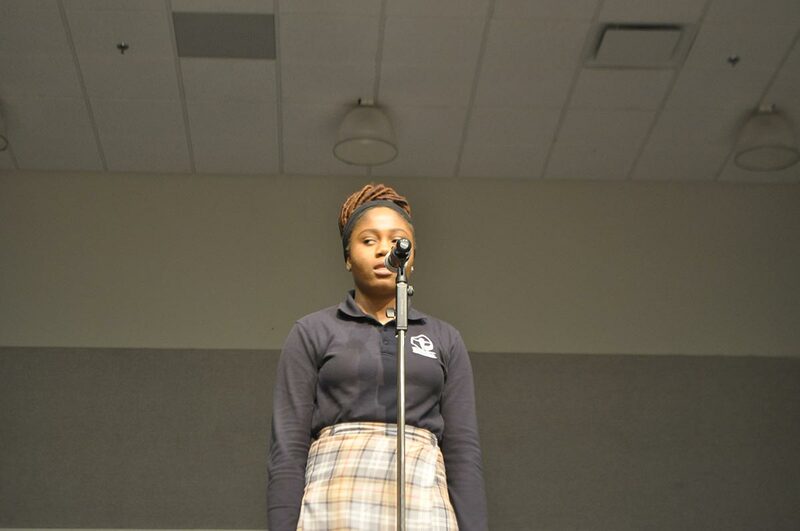 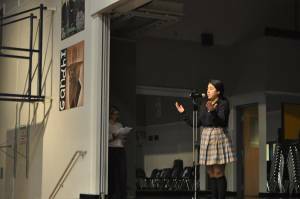 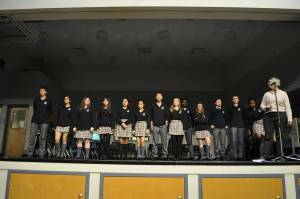 Poetry in Voice is a recitation contest for Canadian High Schools. 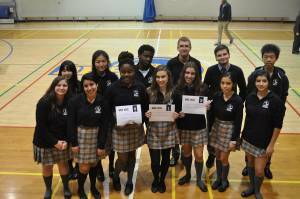 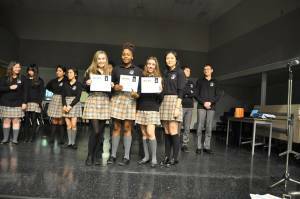 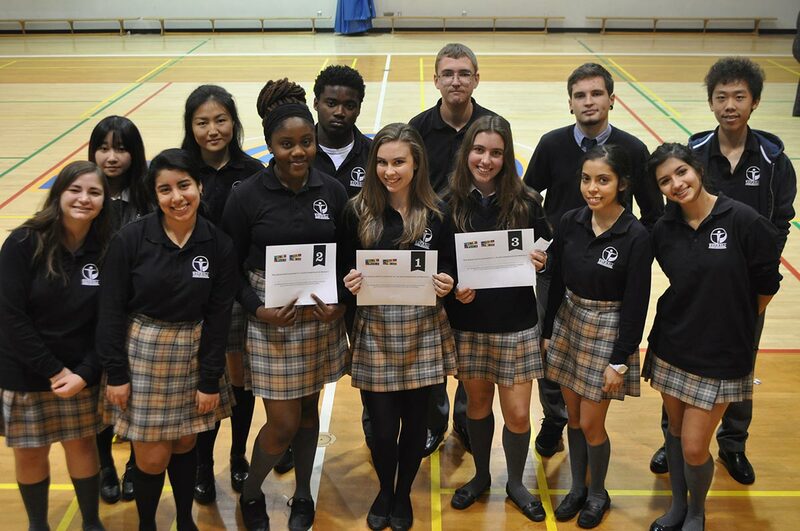 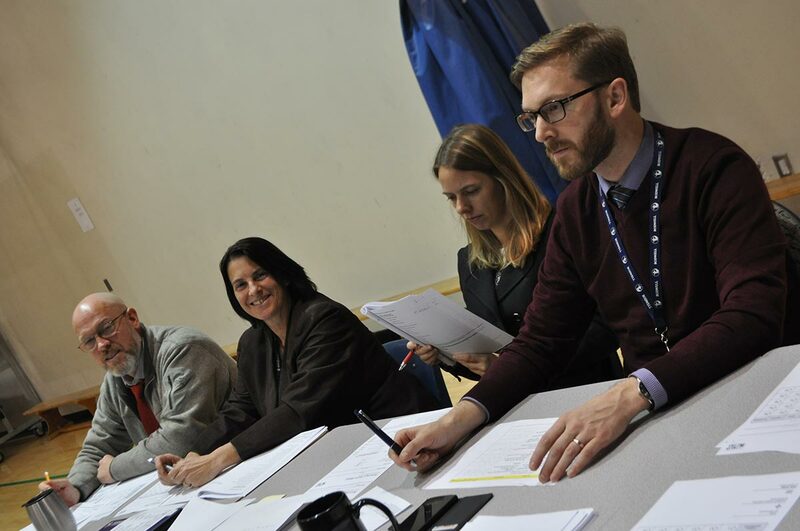 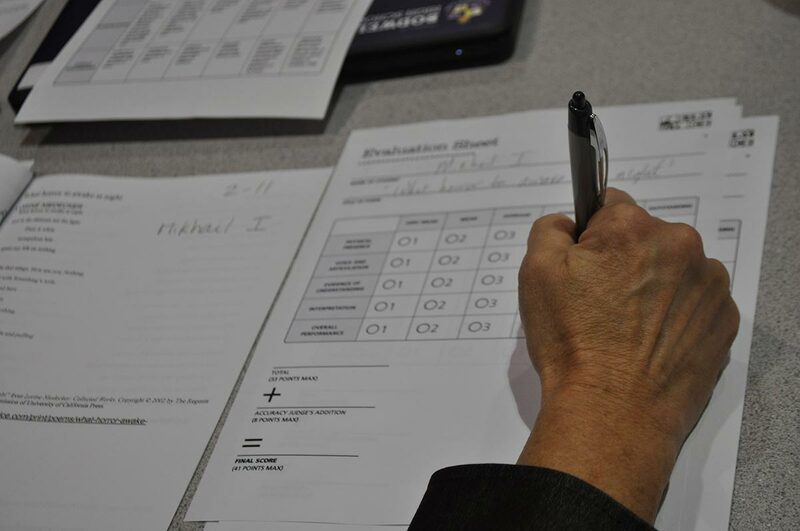 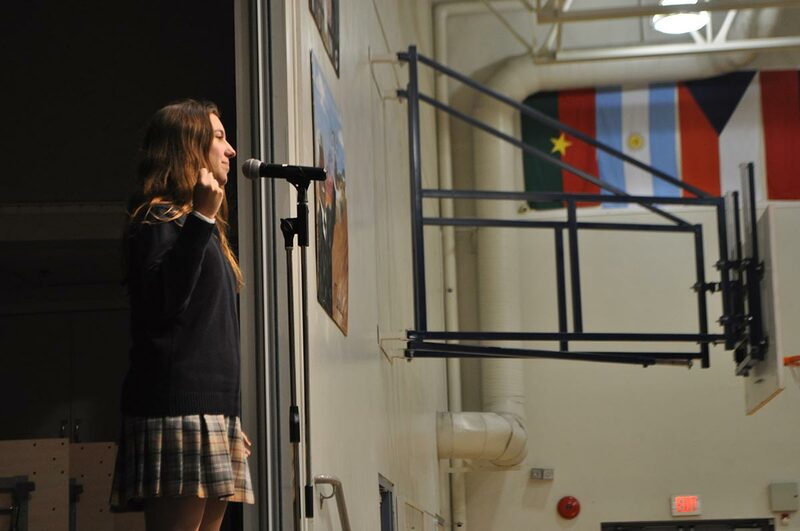 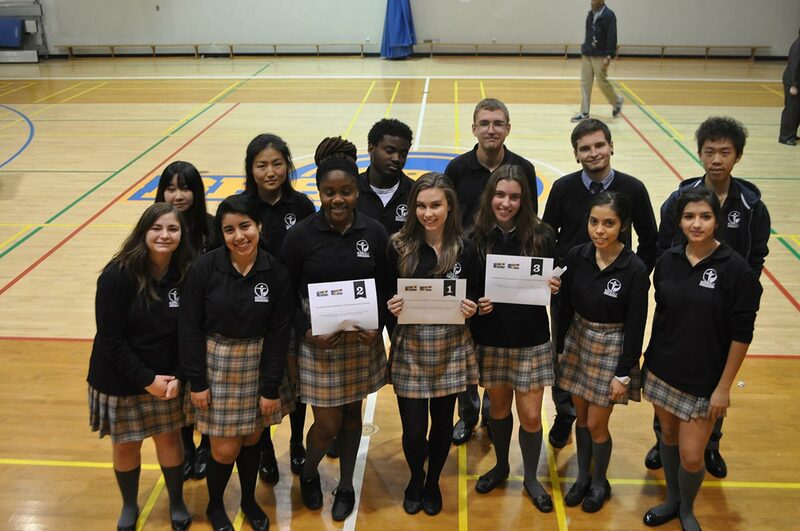 All of our English students participated in classroom competitions-memorizing and reciting one poem each to qualify for the school-wide competition, which was held on Tuesday 17th November. Fifteen students competed for the chance to move forward to the online semi-finals, awarded to the school winner, Kayla Thomas in Grade 11! 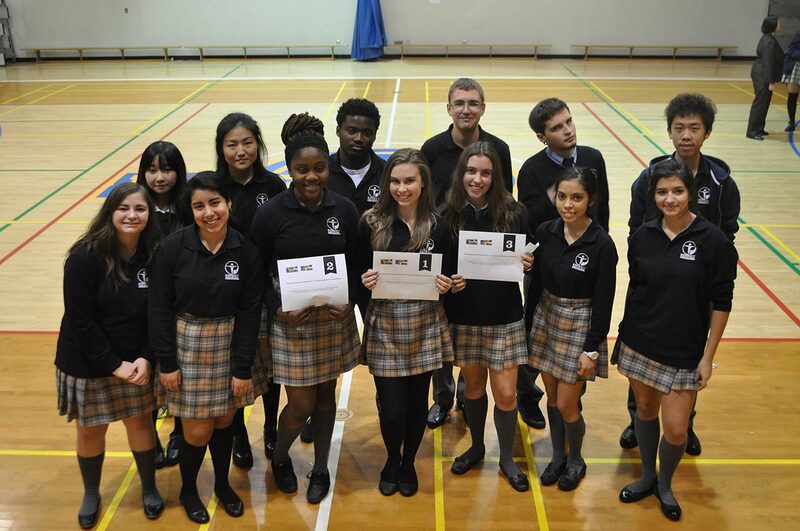 Congratulations to ALL of Bodwell’s English and Literature students who participated this year–it is the start of good things to come! 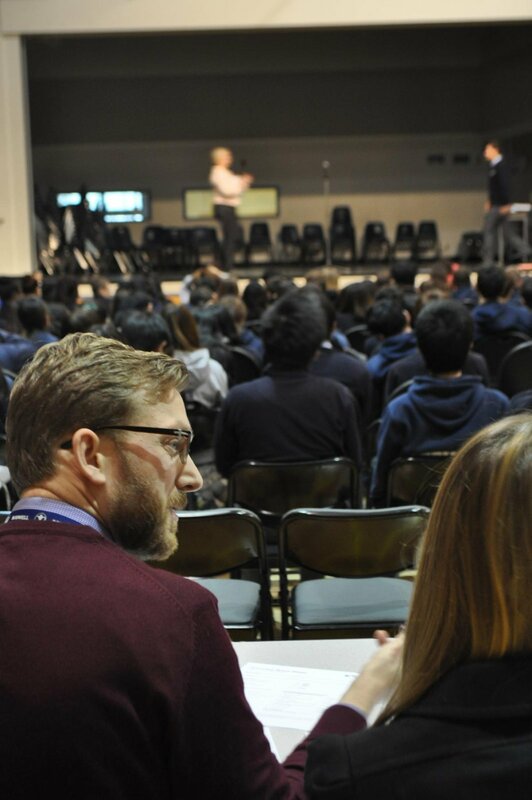 Again, a huge well done to all those who took part, especially those whose English is their second language, and for the teachers organizing and judging the contest. 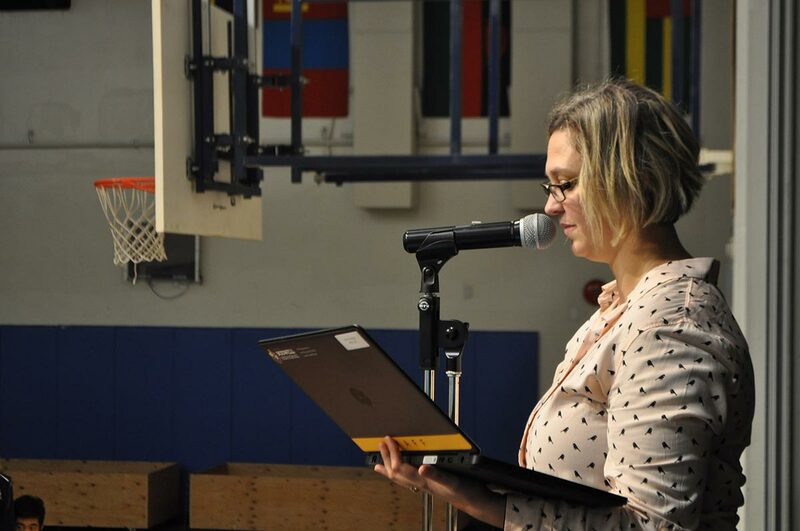 See videos and photos from the event below. 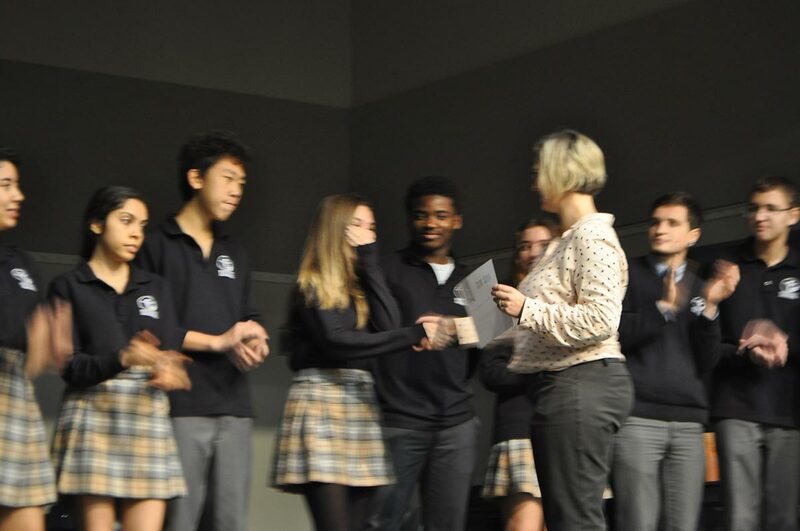 Thanks to Ms. Scott for her photography skills and Michelle for helping record the videos.